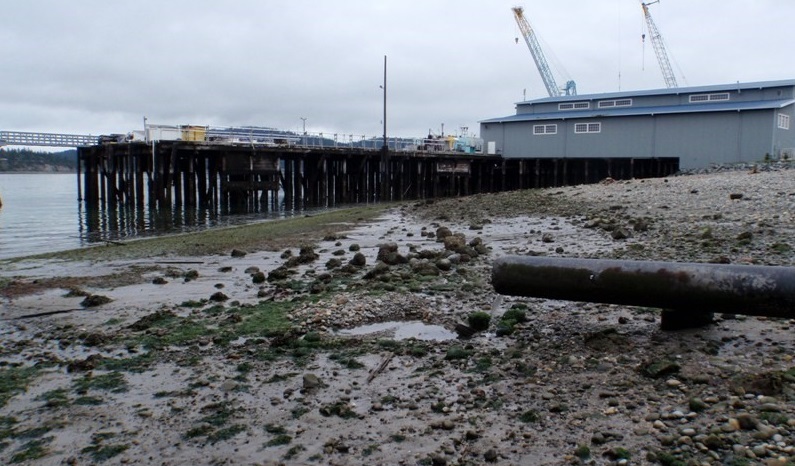 The O Avenue Mitigation site is located immediately west of the Port of Anacortes Main Office and Transit Shed building at the north end of O Avenue between Pier 1 and Curtis Wharf Marine Terminal. 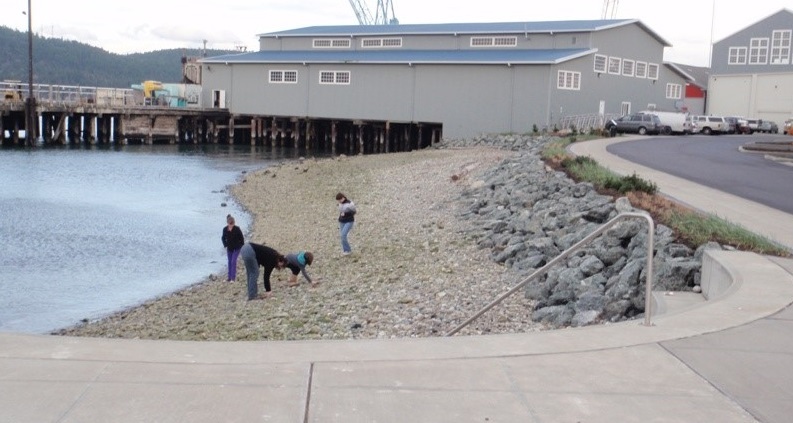 This location was historically the site of fisheries, canneries, mills and factories, and thus, it was determined to provide many opportunities for shoreline improvements. Much of O Avenue and the connecting Railroad Avenue upland consisted of failing roadway, deteriorating bulkhead and beach rubble/debris and derelict creosote timber piling.  O Avenue Mitigation was designed to fulfill mitigation requirements for the Port’s Project Pier I Redevelopment effort. These included providing intertidal and shallow subtidal habitat for aquatic organisms. 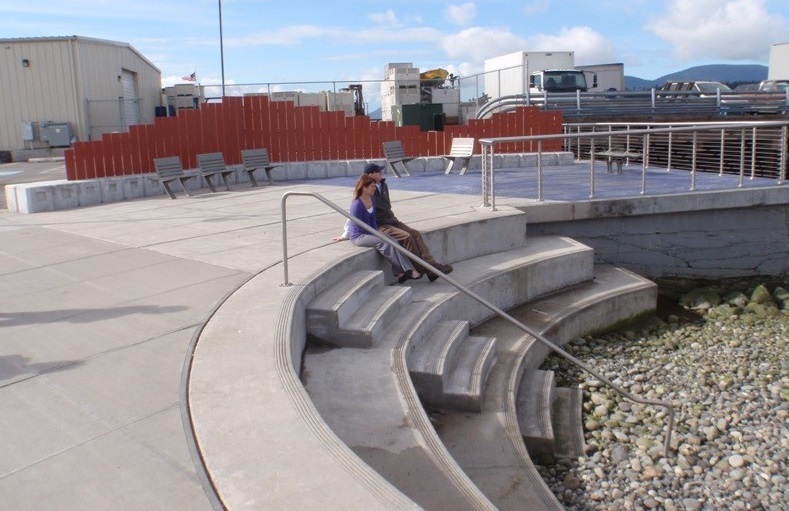 The Port determined that the O Avenue beach area would be an excellent mitigation site because it provided considerable opportunity for shoreline improvement. Shoreline improvements identified in the mitigation plan included demolition of Railroad Avenue and the northern terminus of O Avenue from 2nd Street, removal of old creosote pilings and rubble from the shoreline, removing the existing concrete bulkhead, regrading parts of the beach to create more aquatic area, installing shoreline protection, planting riparian vegetation, and creating public access to the beach. Construction of the O Avenue Mitigation Site enhanced the overall aquatic habitat value of the property in and along Guemes Channel. Also as part of the site’s reconstruction effort, Low Impact Development (LID) elements to manage stormwater was constructed. This included watering cans, raingardens and pervious parking. Construction of the O Avenue Mitigation site was completed in 2010. Post construction monitoring activities at the O Avenue Mitigation Site was scheduled to occur over 6-years beginning 2010 through 2016. Monitoring included both physical and biological monitoring. 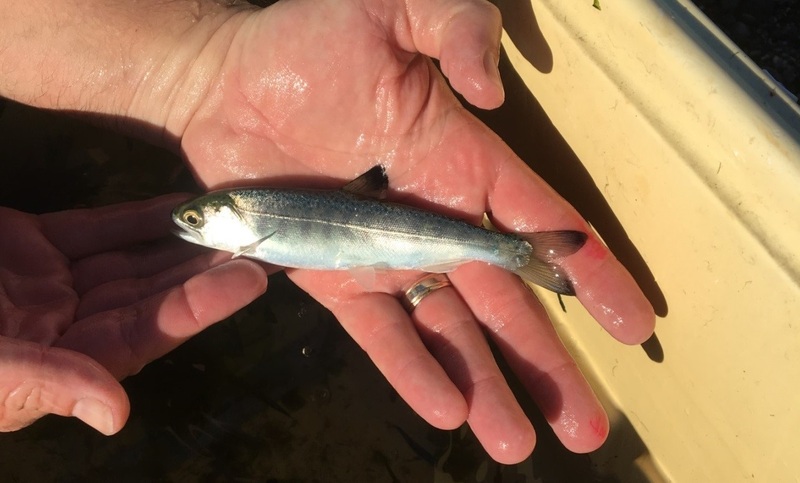 Physical monitoring included photographic documentations of the site, and biological monitoring entailed beach seining that verified the presence of juvenile salmonids of which various species were present at the site during the post construction monitoring events.